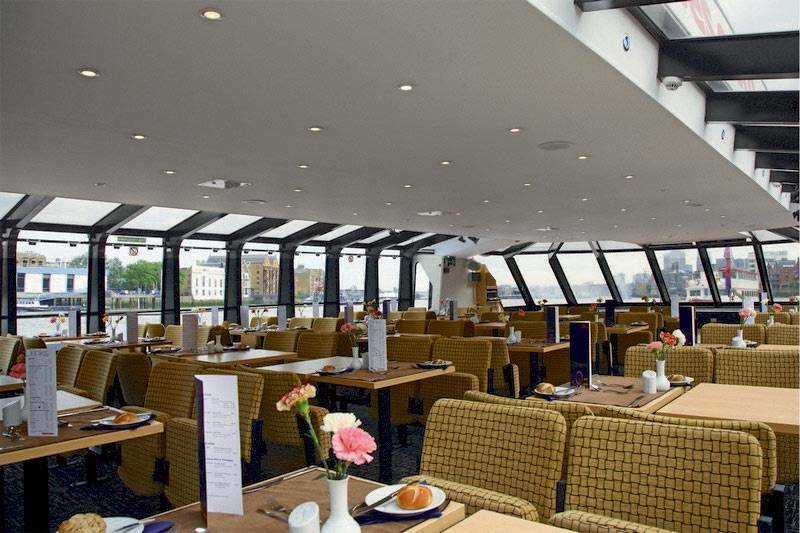 With good food and great views, a Thames Lunch Cruise is both relaxing and rather stimulating. While you enjoy a delicious two course lunch we'll take you on a relaxed mini voyage through the heart of London. The friendly waiters will serve you a scrumptious Halal meal with a hearty main course, just right for an appetite fanned by river breezes. And when you've finished your dessert, you can take a stroll on deck to round off your river-day experience. As you set off the Tower of London and Tower Bridge will be in sight whether through panoramic windows or from the open upper deck. You’ll see which include, The Shard, London Eye, The Globe, St Paul's, Big Ben, Cleopatra Needle, Tate Modern, Golden Hinde, and much more! This cruise lasts one hour and forty-five minutes which gives you plenty of time to enjoy both the view and the company! Whether it’s a first-time, original choice for you and your friends or a long-time favourite of river cruise aficionados we sure you’ll find it’s a great choice for a memorable meal with bright conversation. A relaxed mini voyage through the heart of London.